Getting your house valuation right is crucial to a successful private sale! Having an accurate estimation of your properties value is crucial to a successful private sale. To find an accurate estimation of value for your property, it is important to consider the multiple ways of valuing a property, as well as ensuring you are familiar with the current local property market. This will ensure you are able to set a reasonable asking price (or reserve price if your property is going to auction), which is relative to the current market, ensuring a successful private sale. It is important to understand that the value of your property is ultimately determined by how much a buyer is prepared to purchase it for. Understanding current market trends will allow you to consider when the best time for you to sell your property is, and how to maximize your properties value. These websites provide a quick, easy, free online method to gauge an approximate value of your property. The estimated value is determined by comparing the sale price of properties with similar features, land size and type of dwelling, that have sold recently in the same area. By combining this with council data and other publicly available information, they can often give a fairly accurate valuation. These websites work with built in algorithms called ‘Automated Valuation Models’ (AMVs), which do all the hard work for you. You simply enter the address of your property into the site and it will show you the value it estimates for your property and usually for the surrounding properties also. Keep in mind that special features and the condition of the properties being compared may affect the actual property value and do need to be taken into consideration. While these are great tools to give you an idea of what your properties value may be, it is important to note that there may be some discrepancies between the websites as each site will use different sets of data in different ways. This can give you a range in the estimated value that you can then use to do your own further calculations. The more rural or remote the property the less data there is for the algorithms to use so the less accurate these estimates will be. In some cases, there may not be enough available information and the website may not be able to provide an estimate for a property. Generally, each site will provide the estimated value and categorize it within a ‘low - mid - high’ value range. Please note: You may need to do additional research and get opinions from industry professionals to fully understand your properties value in the current market, as it is not recommend to reply solely on the free valuations. 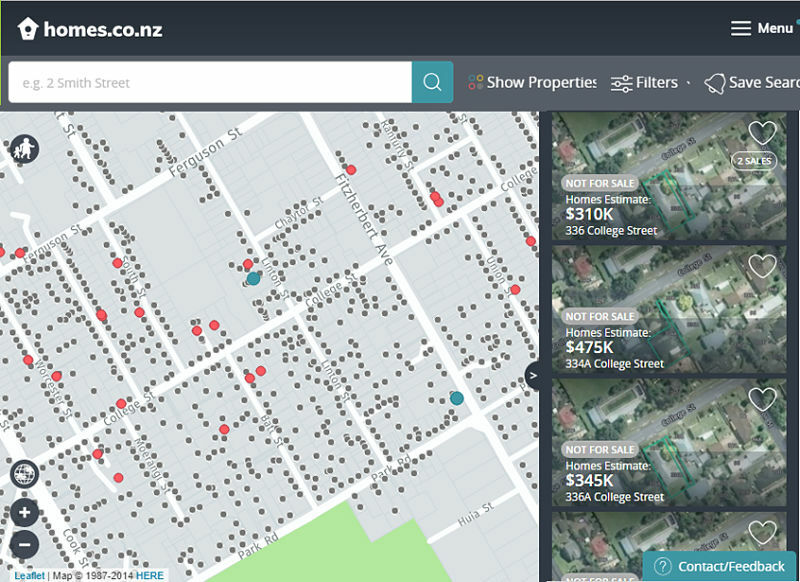 Trade Me Property aims to make it easier to research property values, by providing free information for over 1.5 million New Zealand homes. 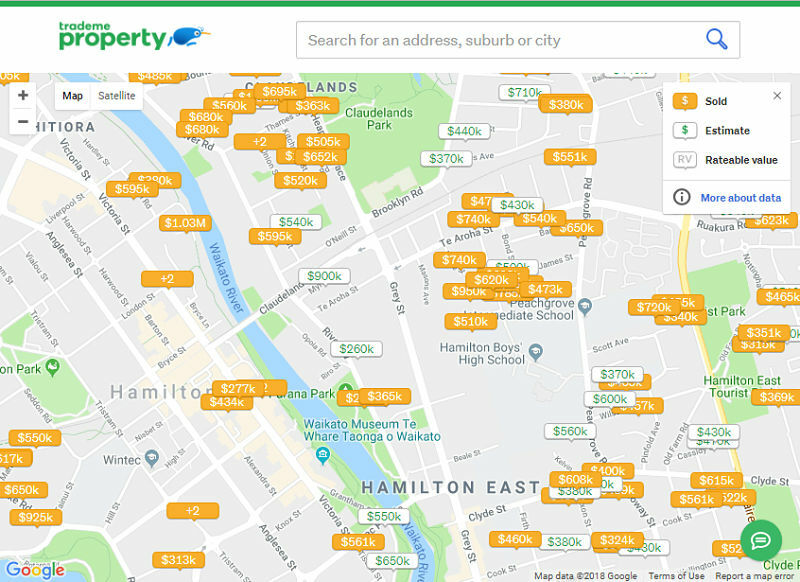 The values are generated through their own algorithms, which use a combination of public information (like rateable value, or RV), previous sale prices and available property information (like when the house was built or its floor size). 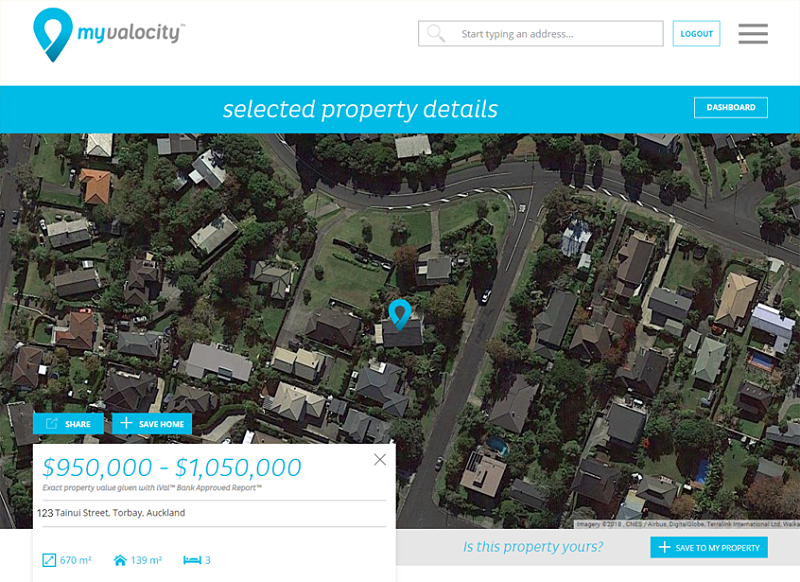 These computer-generated estimates of a properties current value are called the ‘Trade Me Property Estimate’ and may include some Trade Me listing information to help make them more accurate. 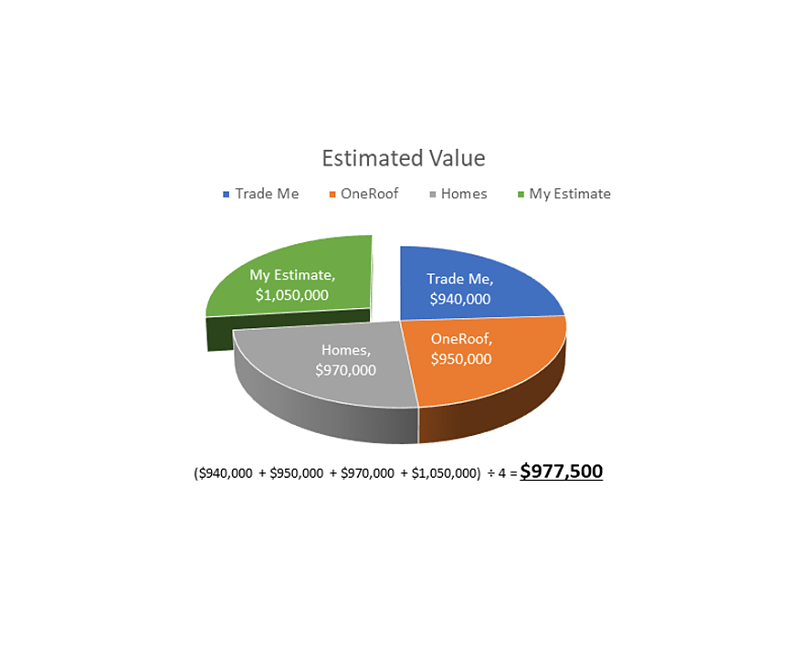 The ‘HomesEstimate’ is an estimated market value of a property, computed using a proprietary formula. It is not a formal valuation but a starting point in determining a properties value. The HomesEstimate is calculated from public data only. It does not take in to account the properties special features, location or market conditions which a real estate agent or registered valuer would. Homes suggests their value is starting point and suggest further research. 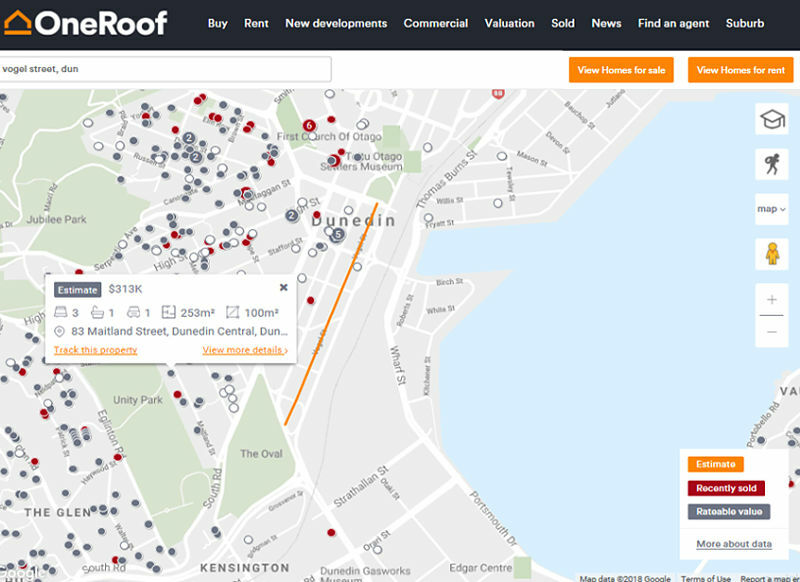 "OneRoof has gathered a range of data to estimate the value that a property could sell or rent for. Our data includes publicly-accessible figures like the sale and rent prices of similar properties, local council valuations and market trends. We then take that data and use an AVM (automated valuation model) Estimate to create a computer-generated estimate of what your property could sell or rent at." By taking the estimated value from each site above you can calculate a more accurate estimate for your property, by finding the average. An average is found, by adding each estimated value together, and then dividing this total, but the number of estimated values added together. Note: the estimates will not have considered individual features of properties, for example, recent renovations or improvements- particularly if you're selling an older property. If there are any renovations or improvements that should be considered in the value of your property, add an estimate for these on to each of the individual online valuations before you do your calculation to find the average. 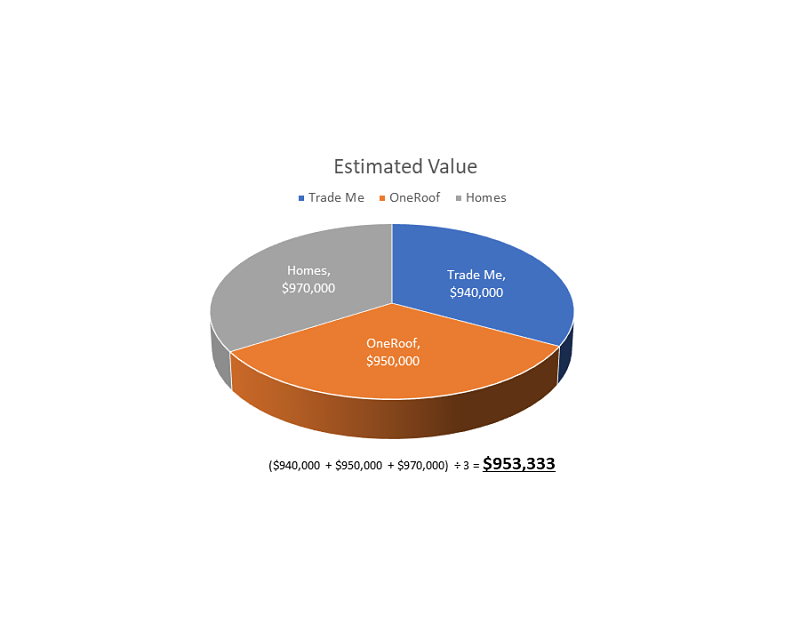 HomesEstimate $970,000 + added improvements estimate of $35,000 = $105,000 etc. There are also a few sites that offer paid online valuations, which will generate a report that will include most of this information in a single downloadable file. It is extremely appealing for buyers to have this information ready for them and on hand to view. If you’ve got a listing with us at Listed.co.nz, you can upload it to your documents folder for potential buyers to download and view when checking out your listing. 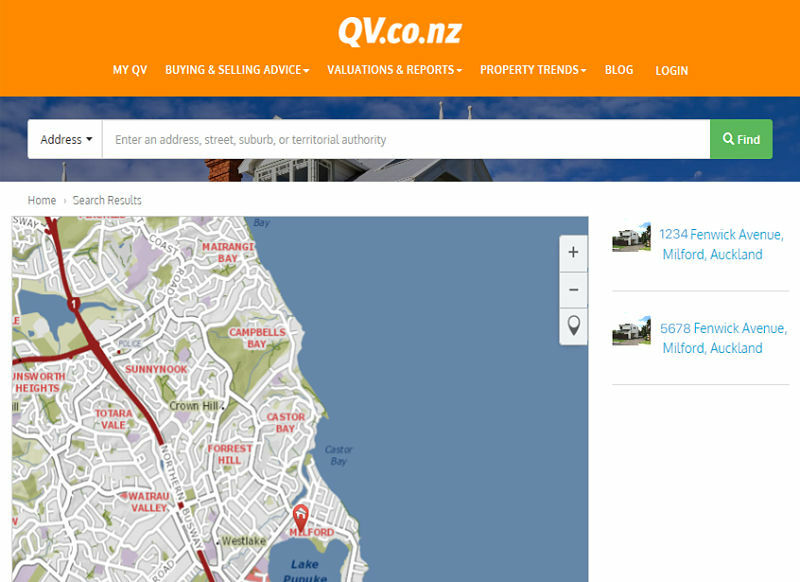 "QV.co.nz is powered by CoreLogic NZ Ltd. CoreLogic is a leading property information, analytics and services provider in the United States, Australia and New Zealand. CoreLogic helps clients identify and manage growth opportunities, improve performance and mitigate risk. CoreLogic provides clients with innovative, technology-based services as well as access to rich data and analytics"
"myvalocity is a product developed out of Valocity Limited which is a property valuation system used by banks." As well as comparing online information regarding recent sales, you can also compare local properties that are currently for sale on the market. Visiting open homes in your area is a great way to get more information on the other properties that yours will be competing against for a buyers attention. Remember however that properties need to have similar features, size etc for fair comparisons. If a property is being sold by an agency, this is also a great time to talk to the agent and find out what state the market is in and to get information about recent sales. Be sure to ask if there are and special features or defects that might make the property worth more or less than others in the area, what they value the property at and how much interest there has been from buyers. A great way of obtaining a professional opinion is by getting a ‘Free Appraisal’ of your property, offered by most real estate agencies. We recommend you get the opinion of 3-4 different agencies to give you a range of opinions. After a quick inspection, they will compare your property to recently sold, comparable properties and often will provide you with a written report free of charge. This comparison is usually what a real estate agent would suggest your property be on the market at. It is not uncommon for an appraisal to be a figure at the upper limit of a property could sell for. This is often to entice sellers to use this agency to help sell their property, however it doesn’t always mean buyers are prepared to pay that much. Real estate agents may also pitch their advertising campaign to you during an appraisal to also encourage you to list your property with them. This is to be expected, as that is where they make their money. Do not feel pressured by this and take the time to consider all your options. A professional property valuation will provide you with the most accurate estimate of your properties value in the current market. The cost of this can range between $500-$800 depending on the level of detail and availability of information about your property. The report considers things like the size, type and features of your property, its construction and composition as well as comparing it with recent sales in your area. Having a property valuation ready for any prospective buyers can also greatly increase your chances of getting an offer as the buyer will feel confident they are paying a reasonable price for the property. This is also a great document to upload to your listing at Listed.co.nz for buyers to download and view. 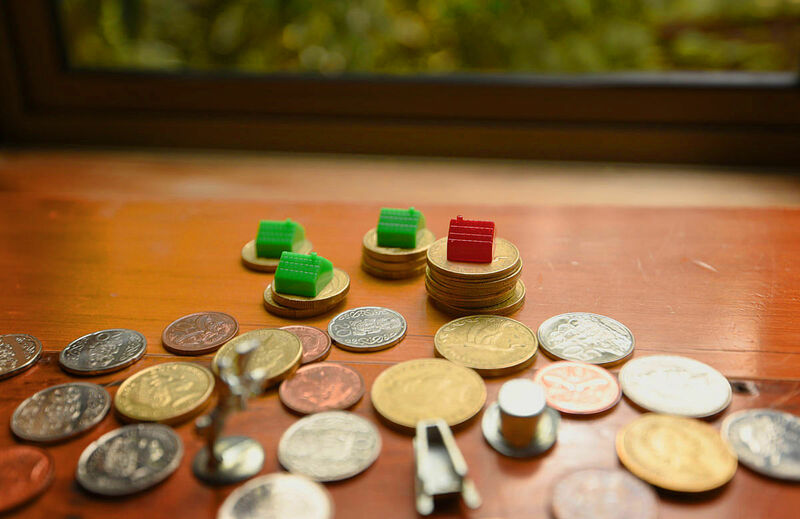 A registered property valuation is commonly added as a condition for buyers when purchasing a property with a mortgage, as banks will require this to ensure the money they are lending is appropriate. It is also a great way to justify your asking price and can save time and money later, if you already have one completed. If all other means of research have left you unsure, a property valuation will give you confidence you are getting the right price for your property. When valuing your property for a private sale, we recommend you use a combination of the above to make sure your valuation is as accurate as possible. If you are in unsure at all, purchasing a professional valuation is your best option. Having an available estimated valuation document will be very attractive to buyers and will help you get an offer. Last thing! Consider getting a "pre-purchase inspection" done also. These reports generally paid for by buyers, however some companies offer some that are transferable from the seller to buyer upon purchase. Having a transferable pre-purchase inspection can be very attractive to buyers who may otherwise have to purchase their own to satisfy a bank, meaning you get the offer over the house down the road that doesn't! If you are still unsure about what price you should list for your property, please get in touch with us at info@listed.co.nz and we will do our best to put you in touch with someone who can assist you.